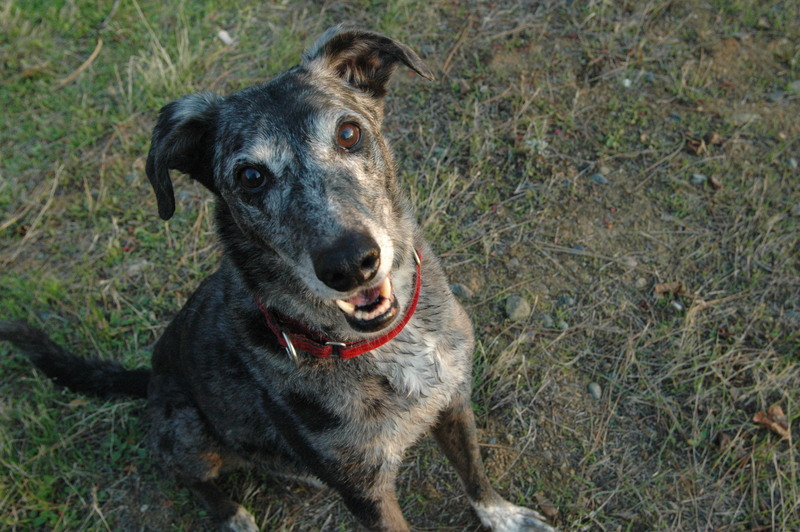 This category includes Dr. Sarah’s reflections about the bond between humans, dogs, and other animals. Hey Dog Dad, Are You Out There? This post goes out to all my single friends. It’s a jungle out there in dating land. And will we ever meet? I’m looking. I’m hoping. I’m waiting…. And my dogs are too. This entry was posted in Reflections on the Human-Animal Bond on January 19, 2012 by sarahrichardson. If early childhood experience matters, I really shouldn’t be a dog person. After all, one of the first dogs I met, when I was just a young child, a light-colored spaniel type named Abigail, bit me on my arm and turned it black and blue. But, I forgave Abigail. After all, I surprised her from behind. Shortly after Abigail, I met Taugus, a regal German Shepherd, and he and I became fast friends. Even then, as a child of only 4 or 5, I knew that I loved not only Taugus, but all Tauguses, and all Abigails, and every Sammy (a beagle who used to make a daily visit to our home), and every member of their kind. Today is Thanksgiving and, as with each and every day, I am grateful for so many things, especially my dogs. They help me laugh and play. Their presence makes me smile. And, while their inevitable departures have filled my life with the deepest grief, both joys and sorrows are woven into a rich and beautiful tapestry, the fabric of my life. Each dog, connected to a place, a chapter, a time, a community of friends, a cup of coffee, a glass of wine, a silly moment, a heartfelt conversation with those with dogs, and their own tapestries of connections. And so I think of Peggy, whose tapestry is filled with new pup hope and old dog grief. Richard, whose tapestry includes defending his maligned pit bull. Teresa, whose tapestry is filled with bold new threads as her dog career unfolds. Gabriela, my longtime friend and last loving hope for many needy dogs. Woven into my tapestry, adding to it substance, strength, and fiber, are the many dog hairs that adorn the clothes I wear and gather in the nooks and crannies of my home, my car, my life. All that dog hair (and I do mean, ALL that dog hair!) – some short, some long, some black, and brown, and white — and then there were those feather-light greyish whisps from Lenny, the soul dog of them all, that used to float invisibly through the air. They tickled my nose. Gesundheit! “Bless you, Lenny,” I used to say, each time I sneezed. Bless you, Lenny, my beloved angel dog, wherever you now rest. Your blue merle markings and downy soft fur are prominently woven in the fabric my life. So on this cool and rainy Thanksgiving Day, I am thankful for dogs, those now near and those once here. Happy Thanksgiving to all my dog friends. May the threads of your tapestries be strong, beautiful, and bright. This entry was posted in Reflections on the Human-Animal Bond on November 25, 2011 by sarahrichardson. Meet Rhodie. He’s a 12 week old Australian Shepherd. He’s sweet, soft, and silly and he’s the newest member of our pack. I really didn’t want another dog, let alone a puppy – they are just so much work! But Rhodie appeared in my life and, like all pups, he needed a human to step in to provide him a home. “I’ll test drive him for the weekend,” I said, and as this weekend comes to an end it is clear this pup is here to stay. My years of experience with puppies and their parents have made me alert to the antics and quirks that indicate which puppies will be relatively easy and which will send the frustration index off the charts. Rhodie is everything I could want in a pup. He’s a quick study and is eager to learn. He’s respectful of other dogs, plays gently, and understands dog body language as if he wrote the book. He’s naturally curious, appropriately cautious and is adapting to novelty with ease. His mouthing is soft and his jumping (his only real vice) is rapidly being replaced with sitting as he learns this is the ticket to all good things in life. He hasn’t pottied in the house or chewed a single valued item – yet. Rhodie is a diamond in the rough (or is it “ruff”) and I am pleased that I am his, he is mine, and we are ours. As I look at Rhodie sleeping at my feet I wonder what adventures are ahead. Will his life be long and healthy? Will his presence be a comfort in Lenny, my soul dog’s, final days? What will my animal family be like when Rhodie, not Lenny, is the senior member of the pack? What will my own life be like? Will he live up to my hopes that he can be my new sidekick, my roadie? What joys, frustrations, sorrows, and celebrations will this new puppy be part of and bring? And as he sleeps, here at my feet, Rhodie twitches, yips, and yaps, clearly caught in his own dreamstate of images, perhaps anticipations, I can only imagine. Dreams and life unfolding as our journey together begins. This entry was posted in Reflections on the Human-Animal Bond on July 6, 2009 by sarahrichardson. Truth be known, I am a closet cat person. Oh yes, I live and breathe dogs. But when I need some real peace and quiet, I tiptoe out to my garage and snuggle with Simba, my beloved cat. Simba introduced me to the mysterious world of cats. He walked up the driveway one day, skinny and flea ridden, bellowing out his meows, and indicated with all he had that he was going to stay. I strongly advised him against it, imploring him to think about the dogs (not all of which are cat friendly) and my allergies to cats. But he was persistent in indicating that our house was his new home, we were his new people, and he was our new cat. We are family. All my furry critters and me. That was three years ago, and since that time I have grown increasingly intrigued by cats. Dogs, I know well. I can usually anticipate their next move by the slightest muscle twitch, or lack thereof. But cats, they mystify me. They keep so much to themselves. Or maybe its just that they’ve reduced their concerns to the simple basics: a safe place to snooze, some satisfying food and, for those cats like Simba who thrive on human contact, a daily chin scratch and lots of gentle petting. Maybe it’s not so mysterious at all. Maybe cats have just gotten to the core truths. What I have learned about cats, since that fateful day when Simba walked into my life, is that a cat chooses you. You do not choose a cat. Nothing has made this clearer to me than my recent experience with Cleo, a feline that I tried to adopt into my animal family. Cleo’s family was moving out of state and could not take her along. I, thinking it would be wonderful to expand my cat contingency, agreed to take her in. I brought Cleo home and assured her that I would do all I could to help her feel at home. And then, after several days, Cleo left me. No, she didn’t just casually walk out an open door. She sought out, found and used an escape route leaving me frantic and worried, pondering the endless mysteries of cats. My search for Cleo is now in its third week. I have posted fliers and hand-delivered nearly 300 more of them by going door-to-door. I have created a Cleo page on my web site, listed her on Craigslist, and run endless newspaper ads, including display ads that show her big green eyes peering out. I have even spoken to an animal communicator and asked her to convey to Cleo that her place is at my home. Here, she’ll find a safe place to snooze, some satisfying food, a daily chin scratch and lots of gentle petting. But as Simba and Cleo have taught me, you don’t choose a cat, a cat chooses you. Update – 5/24: A miracle occurred. Yesterday, over a month after Cleo disappeared, my neighbor walked across the street with her in her arms. She told me that Cleo had shown up that morning at the home of her other neighbor, a lovely, older man. Cleo had awakened him the night before wailing at his bedroom window – not meowing but wailing as if to say “I am here. I am home!”. Cleo clearly wants to live with this kind-hearted gentleman and he has indicated she can stay. As I wrote some weeks ago – you don’t choose a cat, a cat chooses you. This entry was posted in Reflections on the Human-Animal Bond on May 8, 2009 by sarahrichardson. Note: Since writing this, Mike and I have gone our separate ways but I will always appreciate his connection with our dog family. My dogs are lucky dogs. They have an amazing dad. He is their chief caretaker, feeding them, playing with them, and vigorously petting them all every day. They line up for these vigorous rub downs from the “Master Petter” as I like to call him. He talks to them as if he is absolutely sure they understand, and when they talk to him, using various vocalizations, he seems to always understand. “What does he want?”, I recently asked when Tanner, our teenage German Shepherd, began to whine and dance. “He wants me to go out and watch him play,” Mike explained. “You mean he wants you to play with him?” I asked. “No” Mike responded, “he just wants me to watch him run around.” They make the trek outside together and sure enough, Tanner begins to do laps around the backyard. “Look at me, Dad!” his antics seem to say. Mike watches with amusement and Tanner is happy for the audience. Yes, my dogs have a great dad. Perhaps the best thing about my dogs’ dad is that he understands that dogs are not machines. They sometimes steal his food, the remote (God forbid! ), or his place on the couch. Occasionally, they chew up things they shouldn’t (our 8-year old greyhound has suddenly developed a mid-life penchant for pillows), dig in inconvenient places, and one of them eats poop. But my dogs’ dad is patient, forgiving, and kind. “Human error” he says, when his socks end up in the backyard, recognizing he should have put them in the hamper. Yes, my dogs and I are thankful for their dad. My dogs’ dad has never met a dog he didn’t like. I sometimes ask him to help me with clients’ dogs who have a fear of men. These dogs will sometimes bark and lunge and look very scary as their adrenaline throws them into “fight or flight”. My dogs’ dad helps them understand that he is friend, not foe, but the process can take time, patience, and sometimes courage. “What do you think of Beau?” I ask after a session with a big, burly, scary looking dog who barked and lunged at him in a ferocious way. “I like Beau.” he says, “I feel bad that he’s so stressed. Beau’s a good dog.” To Mike, every dog is a good dog, even when they do bad things. As I write this blog, my dogs’ dad is in the ICU, not terribly conscious of all that is going on around him as the tubes and machines maintain and monitor his life. While he can not talk, I have discovered that if I can ask the right question, he can nod to indicate a “yes”. “Do you want me to sneak in Quaid (our large, drapey, greyhound) to snuggle at your feet?” I ask, knowing this is not possible, but wanting to suggest some comfort. Just as my dogs love and need their dad, so their dad loves and needs them. With a clear, deliberate nod, my dogs’ dad says “yes”. This entry was posted in Reflections on the Human-Animal Bond on April 17, 2009 by sarahrichardson. A year or so ago I had a moment of truth. I looked at my beloved Lenny and realized his eyebrows had turned a distinguished shade of silver grey – or had they – weren’t they always this color? After all, he is a grey dog! I rushed to find a photo of Lenny from his younger days to compare with his current features, hoping it would confirm that Lenny’s blue merle fur was not showing signs of age. I found a photo and a youthful Lenny looked out from it. No silver eyebrows there. I realized his once boldly mottled coat had become muted as time had floated by. Lenny has always been an “old soul” – one of those dogs who seems to intuitively understand what’s going on and has an air of calmness about him. He has been my number one sidekick for almost twelve years. He showed up as a spindly, teenage stray, so thin and lithe that at first glance I thought he was a little doe, not a dog. As I look back on his adolescence, a time when many dogs are abandoned or rehomed because of unruly behavior, I remember Lenny as being near perfect. Of course, the chewed corner of my coffee table attests to a few transgressions here and there, but those are long past, and are a small price to pay for the privilege of having my now old dog. Old dogs are treasures. Their soft eyes are windows to their gentle souls. Their graying muzzles are testaments to their success in learning how to navigate the human world. Their slower gait allows them, and us, to relax and breathe just a bit more deeply. I believe it is our greatest privilege to be able to care for old dogs in the special, senior years. I have often said that if I win the lottery or inherit riches from a long lost relative, I would build a sanctuary for homeless, older dogs. It is a tragedy that our world is full of senior dogs who are left to complete their lives alone. So many people bypass older dogs when looking for a furry friend, yet older dogs are the most faithful, gentle, and calm. Old dogs are champions. As I look at my beloved Lenny, his silver eyebrows remind me how quickly time flies and how precious each and every day is with my loving, loved, and loyal friend. The past is full of wonderful moments defined by more youthful zest, but today – this day with my old dog – is the best gift of all. Postsript: Lenny died on January 13, 2011. He was with me almost 13 years. He was about 14 years old when he died. I miss him every day. I always will. Thank you, Lenny, for being my dog. See you later. I love you. This entry was posted in Reflections on the Human-Animal Bond on April 4, 2009 by sarahrichardson. Pixie died today. She was not my dog, but I loved her as if she was my dog. She belonged to my friend, Chris, but in a way she belonged to everyone who met her. She had a spirit so happy and huge that it was impossible to meet Pixie and not feel lighter and brighter for it. Pixie exuded joy. She was “Princess of Meet and Greets”, introducing hundreds of people to the magic of retired racing greyhounds. Chris knew Pixie was a very special dog, a greyhound ambassador supreme, and she so generously shared her with others. I’ll never forget the first time I met Pixie. Chris had enrolled her in a dog training class and Pixie pranced her way in with her long slender tail helicopter-wagging behind – a sign of a truly happy dog. We taught her to bow and she would stretch her long steely blue body out as if she was born to be a ballerina. Her little sister dressed her in pink, and Pixie sported beautiful collars and accessories, right down to the gorgeous handmade tag that adorned her collar. Pixie was truly beautiful in shape and soul. When I received Chris’ message, I cried – for Chris, and Pixie, and every dog I’ve lost and every person who has felt the pain that Chris felt today when she let Pixie go. The solace is knowing that greyhound heaven is a little brighter for my beloved Zorro now that Pixie has arrived. This entry was posted in Reflections on the Human-Animal Bond on March 13, 2009 by sarahrichardson.